Over the past year Chinese domain investors have practically taken over the high end of the aftermarket, paying top prices for a seemingly endless array of short .com names, especially those with two to four letters or numbers. 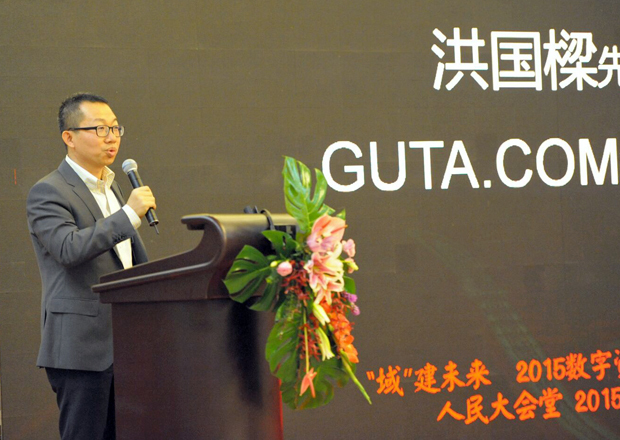 One of the top brokers of those kinds of domains, George Hong of Guta.com, has just returned from an invitation-only conference held in the iconic Great Hall of the People in Beijing, China - an event that further illustrated the insatiable appetite for investment-quality domain names in that nation. 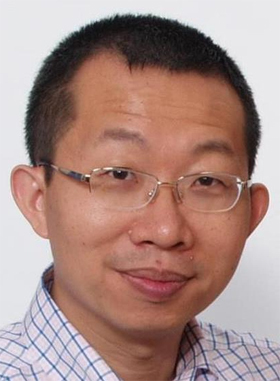 As a native of China who lives in the U.S., George's fluency in both Chinese and English, along with his knowledge of the domain market in both nations, has put him in the middle of the unprecedented action. He was kind enough to send us some photos and highlights from the 2015 Digital Assets Domain Summit that was held Saturday, October 24, 2015 in Beijing. 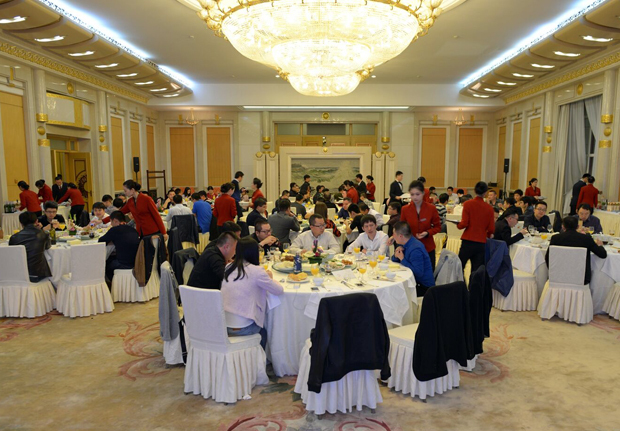 The conference was organized by YMQ.cn, who describes themselves as "an independent third party domain assets service platform." Below: Attendees gather inside the Great Hall of the People. George told us, "For most Chinese people, to participate a meeting in the Great Hall of the People is once in a life time event and it was an amazing experience for me. This conference changed the status of Chinese domainers. Domaining has become a noble occupation and this conference introduced the industry to a much broader audience." The Beijing TV station (BTV) even sent staff to cover the event and interviewed participants King Wang, founder of YMQ.cn, Jian Zhou from Xinnet.com, Yiming Mou from YMF.com, Xiaosheng Liu from WRZ.com and Donghong Chan from 400.com, who reiterated the importance of domains to trademark, brand and finance in the internet application market. 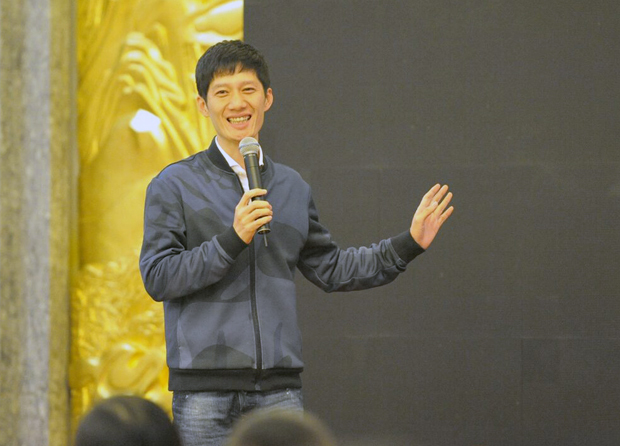 Above: YMQ.cn Founder and Conference Organizer King Wang addressing attendees. Mr. Wang invited George Hong, John Xu (founder of 4.cn) and Linda Yang (General Manager at Mijia.com) to be the conference's featured speakers. Above: George Hong of Guta.com speaking at the 2015 Digital Assets Domain Summit. 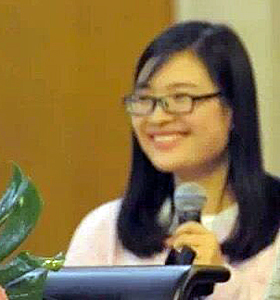 Below: 4.CN Founder John Xu joined George Hong and Linda Wang as featured speakers. With the Chinese stock market going down this year a lot of people have been surprised to see domain buyers spending more money than ever, but many experts say that stock market decline has actually been a big positive for the domain business. It has caused those with substantial cash assets to look elsewhere for investments that they think will not only retain value but also have a chance to appreciate as the Internet boom continues to reshape world commerce. 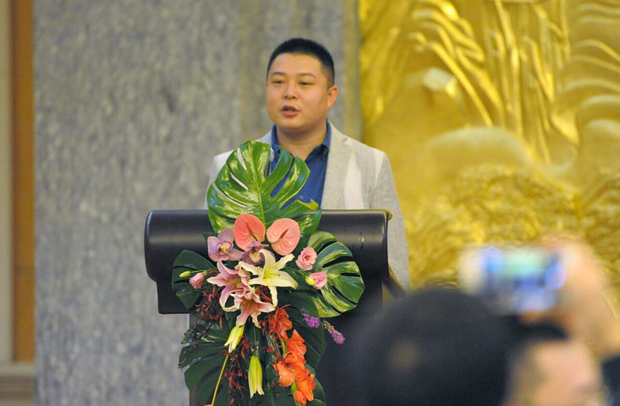 A YMQ.cn account of the conference said, "Undoubtedly, domains, as rare resources, are getting more and more important for improving brand image and for deepening users brand memory in the Internet era." 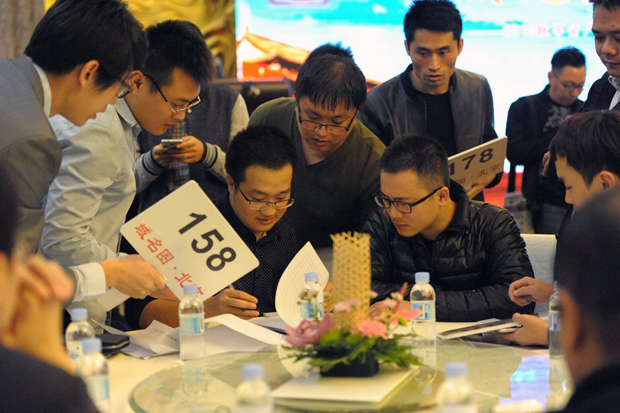 few would have guessed we would see the first substantial move in that direction come from somewhere other than the U.S.
During a domain auction at the 2015 Digital Assets Summit in Beijing, bidders study the auction catalog looking for investment grade buying opportunities. 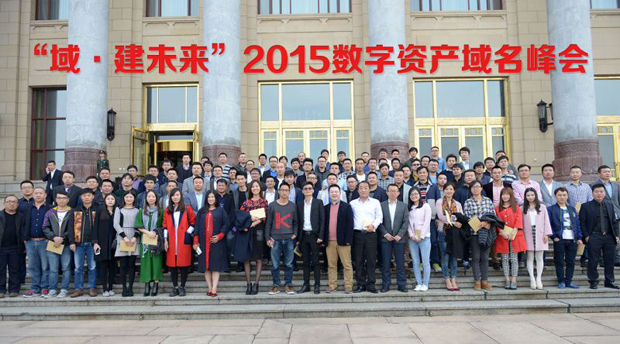 Our thanks to George Hong and YMQ.cn for their insight into this important event in China. We also continue to appreciate the work George has done in helping to build a bridge between the U.S. and China domain markets that is paying big dividends to industry participants on both sides of the globe. 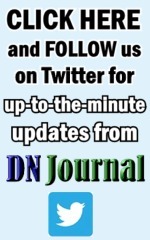 Copyright 2015 DNJournal.com - an Internet Edge, Inc. company.